Tier 2 bonds are subordinate to tier 1 capital, including stocks, for banks. 3. What Are Secured Investment Accounts? Tier 2 bonds are components of tier 2 capital, primarily for banks. These are debt instruments like loans, more than they are equity features like stocks. As with all bonds and other debt instruments, they do not give ownership or voting rights, but they do offer interest earnings to bondholders or owners. "Guaranteed" is not an appropriate word to be combined with investments, but tier 2 bonds "specify" earnings as interest rates. Tier 2 bonds are typically subordinated debt, behind tier one debt such as commercial loans. Tier 2 bonds are part of tier 2 capital. In the context of banking institutions, for a mutual bank tier 1 capital is composed of deposits, and in the commercial bank universe it's money from stock sales. Tier 2 capital, from a bank perspective, is often divided into upper and lower tier 2 capital. 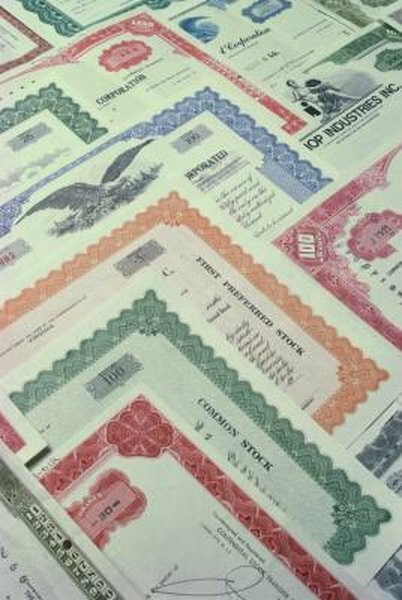 The primary features of upper tier 2 capital is that it's often senior to tier 1 capital, as bond coupons are deferrable and cumulative to otherwise senior preferred and common stocks. Lower tier 2 capital, restricted to 25 percent maximums of a bank's total capital, is subordinate to tier 1 and upper tier 2 capital. These bonds are less expensive for banks to issue, and as of January 2013 under the Basel 3 rules they are more strictly defined. Tier 2 bonds, unlike bank deposits or stocks, are subordinate, in a secondary position, to the commitments to depositors and shareholders. Along with stated rates of return, tier 2 bonds are subordinate to depositor rights to interest payments, creditor rights to repayment, and other subordinated debt of a financial institution. Your investment and earnings are not insured by the Federal Deposit Insurance Corp. or anyone else, unlike your personal deposits up to $250,000. Since depositors and creditors have senior claims to monies and earnings, tier 2 bonds come with greater risk than many competing bond investment options. Although tier 2 bonds typically come with higher interest rates than other bank investments, they do not receive high marks for investor choices because of their substantial higher risks. Banks are subject to legislative restrictions on issuing tier 2 bonds, which can't exceed 100 percent of tier 1 capital balances or 25 percent of total capitalization. Although investors appreciate the higher rates offered by tier 2 bonds, the higher perceived risk keeps many investors away from them. Fixed Income Investments: What Do Tier 1, Upper Tier 2 and Lower Tier 2 Mean?